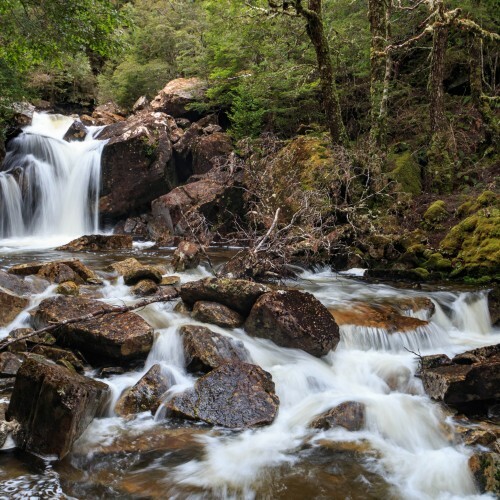 The sensational Lees Paddocks is an area in central Tasmania surrounded by large mountains, and is a great hiking destination for enthusiasts. 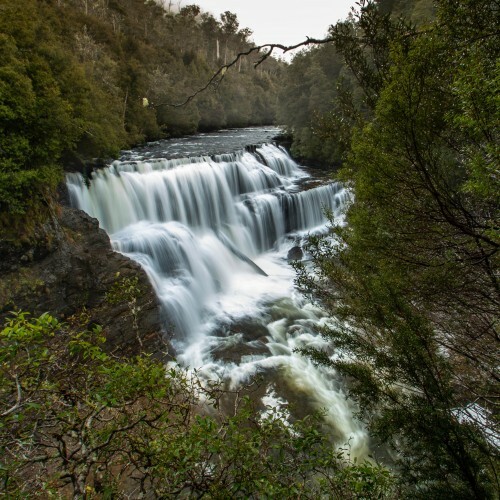 There are quite a few waterfalls within reach from Lees Paddocks, and Ladder Falls is an impressive waterfall to visit. 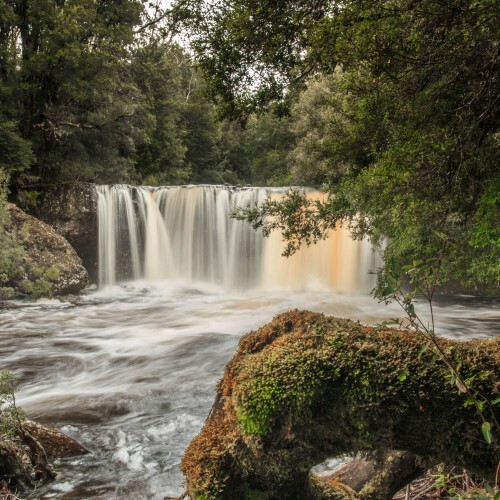 Situated on Ladder Creek, Ladder Falls is in fact the 2nd waterfall you can visit once you get to Ladder Creek on the edge of the hills on the western side of the paddocks. 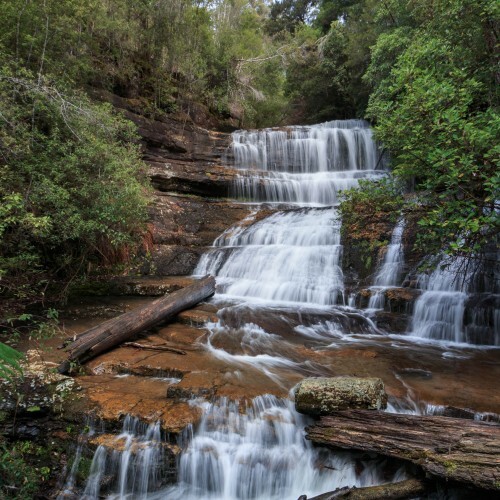 The first waterfall is impressive in itself, and you would be forgiven for thinking it was Ladder Falls. 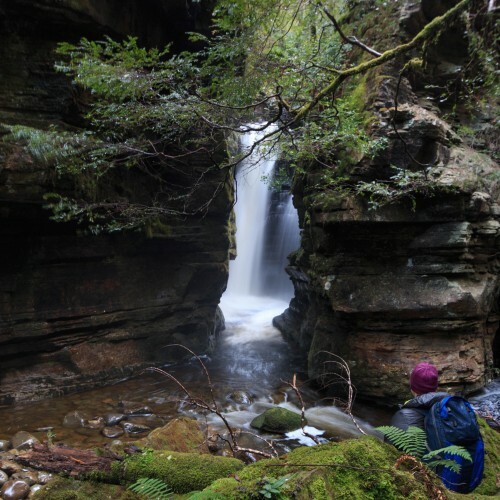 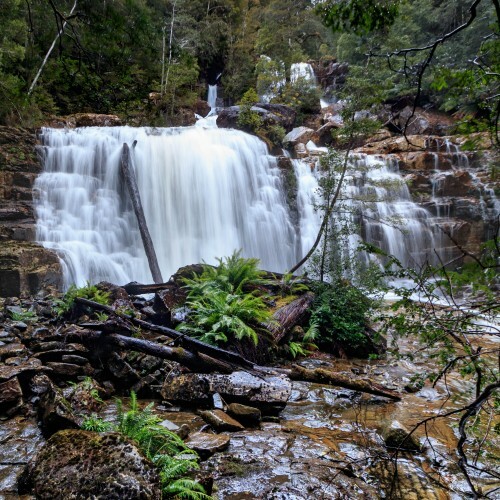 However, by climbing the hill on the northern side of Ladder Creek, you will reach a much larger multi-tiered waterfall encased in an intimate rainforest overflowing with ferns and mosses. 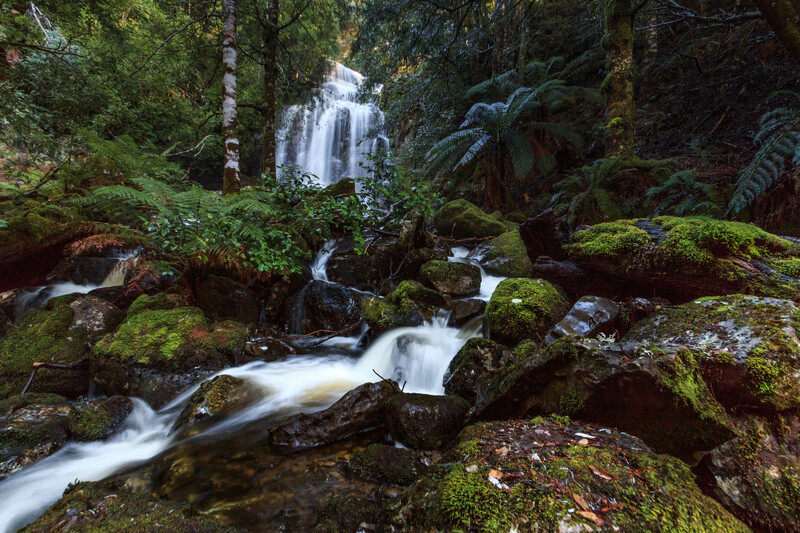 Ladder Creek is terrific to explore, and continuing your hike uphill past Ladder Falls will revel more delightful cascades and small waterfalls.